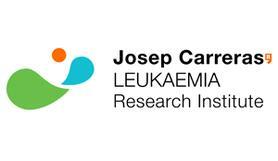 Dr. Josep Maria Ribera, head of the hematology service at the ICO-Germans Trias i Pujol Hospital, and director of the ALL research group at the IJC, took part in the study, "Blinatumomab versus Chemotherapy for Advanced Acute Lymphoblastic Leukemia", published in The New England Journal of Medicine. 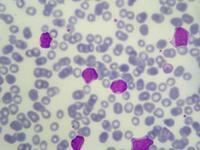 The study, entitled TOWER, shows that blinatumomab increases the life expectancy of adult patients suffering from high-risk relapsed or refractory B-cell acute lymphoblastic leukemia in comparison to standard treatment with chemotherapy. The results of this direct comparative study show that the monoclonal antibody blinatumomab almost doubles the average length of survival. Patients who were administered blinatumomab also presented a higher complete response rate than those treated with conventional rescue chemotherapy. Furthermore, these responses were of better quality, given the greater frequency of negative residual disease amongst patients treated with blinatumomab. 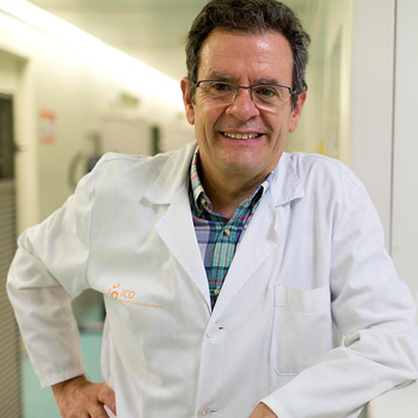 For Dr. Ribera the results of the TOWER study provide the first evidence that blinatumomab works better than chemotherapy for patients suffering from relapsed ALL. This news is very encouraging because it marks a step forward in improving the prognosis for patients with relapsed ALL. It should be mentioned, however, that after treatment with blinatumomab patients must undergo a hematopoietic progenitor transplant to complete the treatment for their relapse. Dr. Ribera points out that, at the present time, there are other studies underway to determine the effectiveness of blinatumomab for patients with ALL before they relapse, in an attempt to forestall this grave complication. In the future, in his opinion, blinatumomab will used as an initial treatment, in combination with chemotherapy. The drug is currently available in Spain in a programme for compassionate use. Its adoption as an authorised drug is being negotiated with the Ministry of Health. Acute lymphoblastic leukaemia (also known as acute lymphoid leukaemia or ALL) is a kind of blood cancer in which, for reasons unknown, an excessive quantity of immature lymphoid progenitor cells is produced. The cancer cells reproduce rapidly and replace the normal cells in the bone marrow, the soft tissue at the centre of the bones, where blood cells are formed. Under normal conditions lymphocytes are produced in the bone marrow and in other organs of the lymphatic system (thymus, ganglions, spleen), and are responsible for the body's defences since they are capable of attacking invasive agents or anomalous cells produced by the body, either directly or through the production of substances called antibodies. In ALL the lymphoblasts (precursors of the lymphocytes) are produced in excessive quantity and do not mature. These immature lymphocytes invade the blood, the bone marrow, and lymphatic tissues causing inflammation. They can also invade other organs such as the testicles or the central nervous system. While ALL predominantly affects children, it is not infrequent in adolescents and young adults. In adults it affects mainly young men between the ages of 25-30. Only 10-15% of patients survive past the age of 50. In Spain the incidence of adult ALL is 30 new cases per million, per year.